Metal Sheath Mineral Insulated (MSMI) Thermocouple Cable is used as sensor to measure temperature. It senses temperature and converts it into electrical signals i.e., milli volt (mV) which in turn is transmitted through MI, Extension or Compensating Cable to an instrument and displayed as temperature (°C/°F). It covers wide temperature ranges between -200°C and 1250°C with good accuracy and stability. The construction of MSMI Thermocouple allows the sheath to be bent or formed to shape as required by the user, but remains rigid during use. The whole assembly is hermetically sealed giving the conductors full protection from the operating environment. The main advantages of MSMI Thermocouple are stability, durability, cost-effectiveness, quick response and ability to be formed into almost any position. They can be used in almost every industry and can be tailored to individual application. MSMI Thermocouple is available in Types K/J/E/T/N with standard and special limits of error as per ASTM/ANSI/IEC/DIN/JIS standards. Good corrosion resistance and creep strength at elevated temperatures (Mo). Resists tendency to pit in phosphoric and aetic acids. Withstands sulphuric acid compounds. High corrision resistance at elevated temperatures. High hot strength. Used in sulphur-free environments. Resists oxidising and reducing atmospheres. 1. 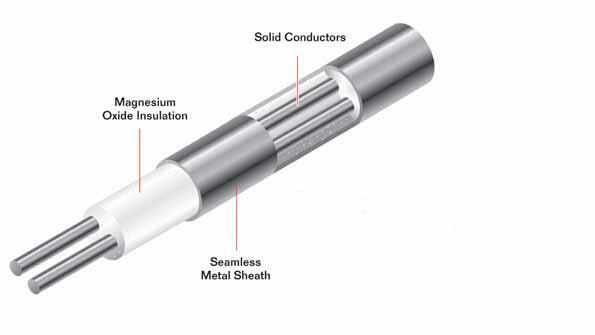 Mineral insulated cables are the industry standard, proven choice for high temperature probe fabrication. 2. Bulk MI cable is rugged, inexpensive, reliable, widely accepted by industry, and readily available in standard configurations, the metal sheath provides a self-armoured cable, which is mechanically robust even at small diameters. 3. Sheath materials can be selected to offer strong resistance against corrosive environments and extremely high temperature effects. 4. The small mass and high thermal conductivity of a properly made cable promotes rapid response of the finished thermocouple assembly. 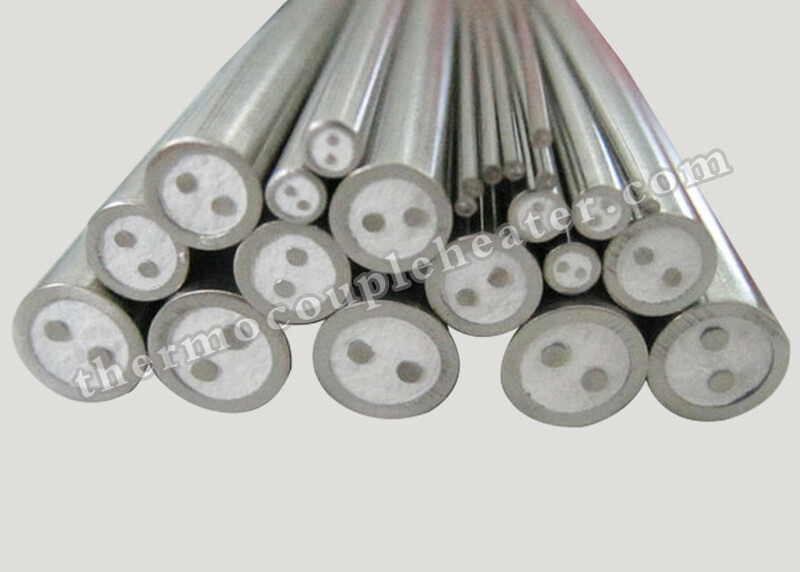 Mineral insulated thermocouple cables have inner conductors of thermocouple base material. Mineral insulated thermocouple cables are designed for high-temperature applications and are used wherever there are particularly strict requirements with regard to mechanical, chemical and electrical stability. Model Number: K, J, T, E, R, S, B, etc..